Google (GOOG, GOOGL) on Tuesday unveiled Stadia, its vision for the future of gaming. Unlike many traditional gaming platforms, which require a powerful PC or dedicated console, Stadia streams games from Google’s data servers around the world to people’s computers, tablets, and smartphones. Players can also start playing on one of their devices and quickly resume on another device — a convenient feature for many consumers who tote around multiple gadgets. But the Mountain View, California-based tech giant, which now has the full attention of gamers and press, also left several big questions about Stadia unanswered, pointed out Piper Jaffray analysts Michael J. Olson and Yung Kim in a note published Tuesday. Google didn’t specify how much Stadia will cost when it launches sometime later this year or how the payment model would work exactly. Current game streaming services such as PlayStation Now, which lets PlayStation owners play select PlayStation 3 and PlayStation 4 titles, charge $19.99 a month and $99.99 a year for them to play as many of those titles as they want as frequently as they want. But Stadia is a different beast, with Google positioning its streaming platform as a cutting-edge rival to more traditional PC and console gaming. 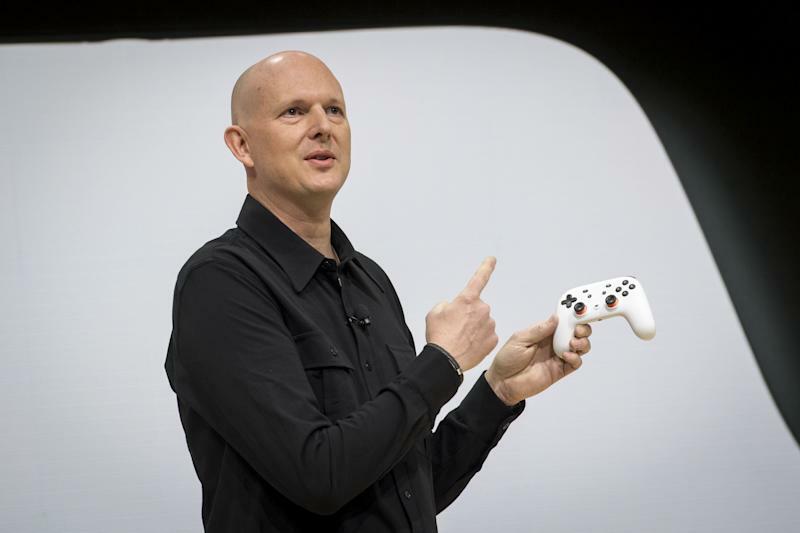 (Indeed, Google Vice President Phil Harrison made pointed comparisons between Stadia’s technical prowess and the less advanced technical capabilities of Sony’s PlayStation 4 and Microsoft’s Xbox One X.) And Piper Jaffray cautions Google about giving Stadia a PlayStation Now a Netflix-like buffet-like pricing scheme. “We believe game publishers may resist an all-you-can-play model, similar to video services such as Netflix,” Olson and Kim wrote in the note. How do games actually play? A game platform’s launch lives and dies based on the games that arrive alongside it, and that’s where Google was really light on details. The company did tease out three games, including “Doom Eternal,” another fast-paced shooter from developer Bethesda Softworks, Ubisoft’s “Assassin’s Creed Odyssey,” first released last October on other platforms, and an unknown title from Q-Games. But beyond that, Piper Jaffray noted that none of the major third-party publishers, with the exception of Ubisoft, were featured during Google’s presentation on Wednesday. That’s not to say the support isn’t there, but if it was, Google should have made a bigger deal of it. As Yahoo Finance’s Dan Howley pointed out on Tuesday, Google did announce a game studio of its own called Stadia Games and Entertainment, which Ubisoft Toronto founder Jade Raymond will run. That’s certainly a plus, because Stadia will need a lot of unique, original games to convince enough gamers the platform is worth paying for. Stadia is hardly the first game streaming platform to come along, and it certainly won’t be the last. Equally as important as third-party software support is “latency:” the delay between a player’s button presses on a controller, mouse, or keyboard and when it registers onscreen. Those are words Google likely doesn’t want to hear, but whether Stadia has the chops and third-party support to prove otherwise remains to be seen.